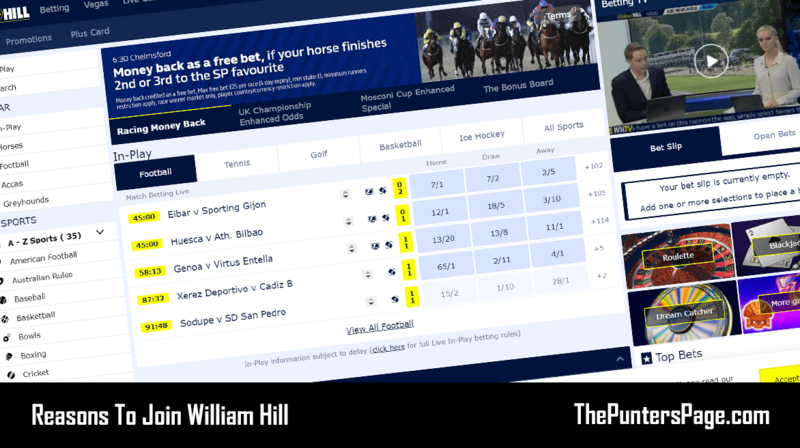 In this article we explain all you need to know about the William Hill 4 Means More offer including a step-by-step guide on how to claim the promotion as well as the key terms you should know about. Football is one of the most popular sports to bet on so it’s no surprise to see William Hill have introduced a fantastic promotion whereby punters can enjoy more ‘bang for their buck’ and it’s called 4 Means More. What Is The William Hill 4 Means More Offer? 4 Means More is an offer from William Hill that applies to Both Teams To Score and Match Result & Both Teams To Score bets on selected fixtures and works so that if there are four or more goals in a game then you will receive a 25% bonus on top on your standard winnings. 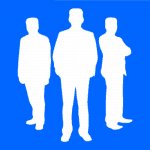 4 Means More is open to new and existing customers. 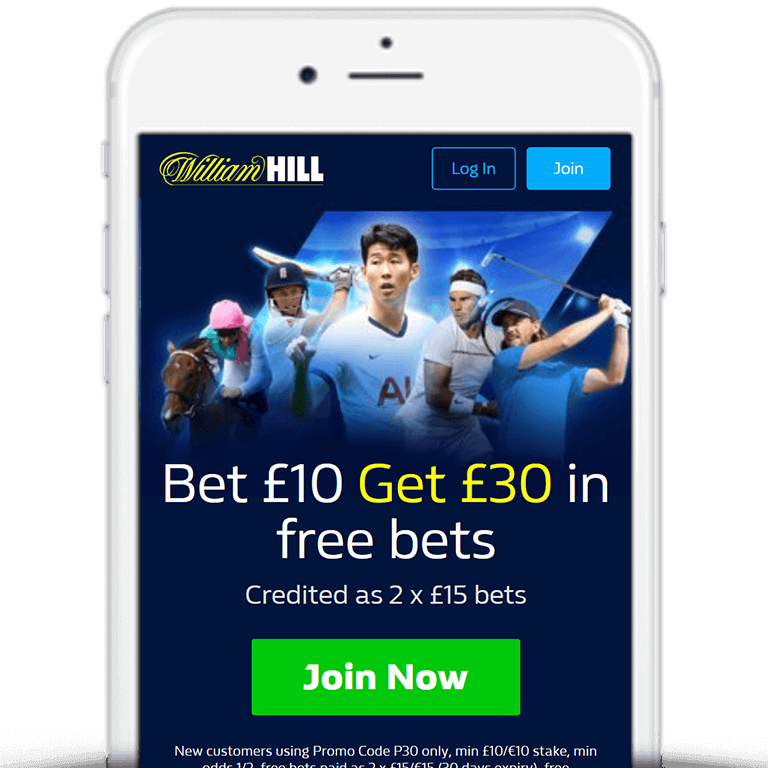 If you haven’t yet joined then William Hill’s Bet £10 Get £30 in free bets welcome offer is well worth looking at. Simply open an account and stake £10 at odds of 1/2 or greater and William Hill will credit your account with £30 in free bets, as outlined below. Alternatively, there are a range of William Hill promo codes also available. Place your Match Result, Both Teams To Score or Match Result & Both Teams To Score single bet at odds of 1/5 (1.2) or greater as normal. If there are four or more goals in the game then William Hill will automatically credit you with a 25% bonus. Bonuses are paid based on profit. For example, bet £10 at 2/1 and your overall return is £30 (£20 total profit). You will therefore earn a 25% bonus of £20 = £5. Bonus paid in free bets. Free bets credited by midday the following day. 4 Means More from William Hill is a great way of providing extra value to punters by offering a 25% bonus when there are four or more goals scored in the match. 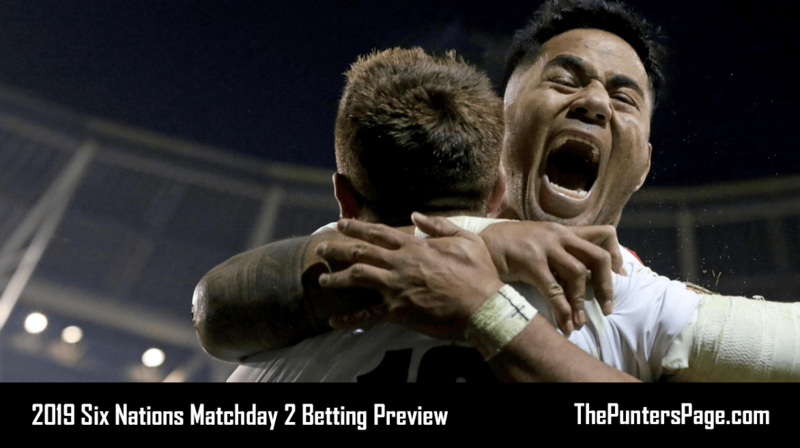 So if you want to get more out of your Match Result, Both Teams To Score or Match Result & Both Teams To Score single bets, then this is definitely worth considering.